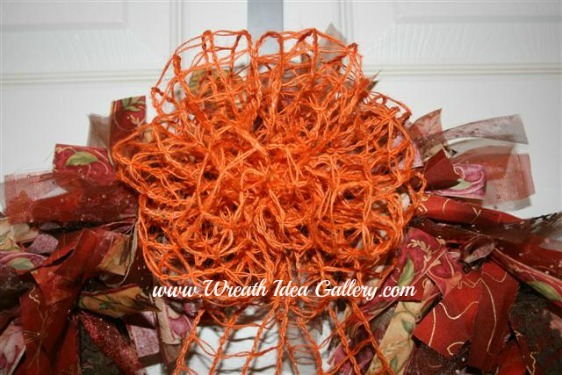 This wreath is great start for your fall decorating ideas. 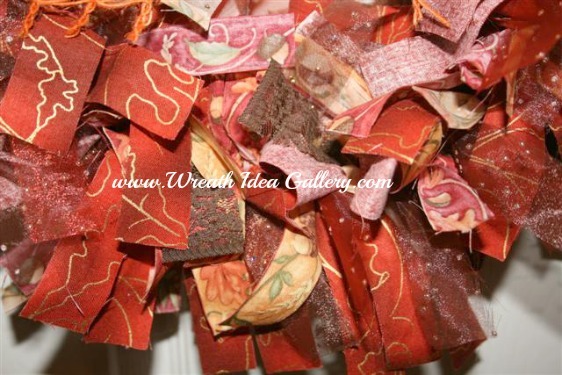 Easy to put together fall rag wreath. With so many fall materials out there it was a fun but hard decision which fabrics to pick. 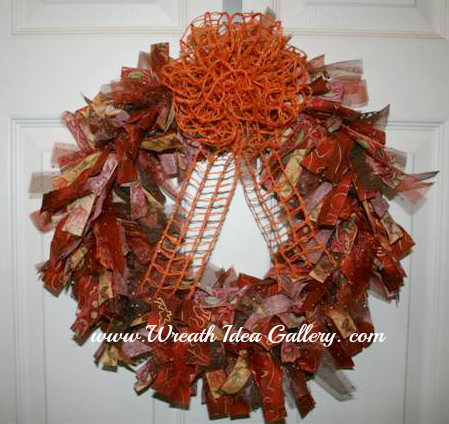 There are actually five different materials used in this wreath. I used two fall printed materials that I thought looked good together and then added a brown lace and two chiffon one brown and one burgandy and they had little sparkles on them. I cut my fabric into 1 X 8 inch strips. You will want to pick fabrics that are soft and flexible. 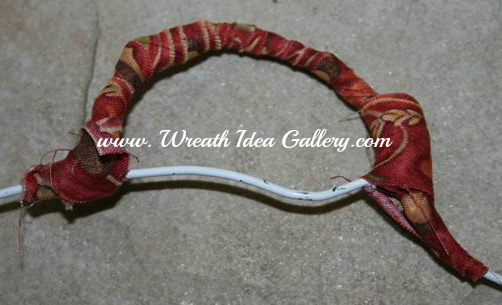 If the fabric is to stiff it will not fall easily and may be difficult to tie onto the hanger. I also tried to look for printed fabric that was "not so white" on the backside. If you look at different printed fabrics some you can kind of see the design but lighter on the back, but some are very white; usually the heavier material. Try to avoid. Bend the top of your hanger and wrap a piece of material around it to cover sharp edges and hot glue ends. Tie your pieces onto the hanger alternating fabrics, no special order. I folded my strips long way before I tied them on so I was able to get more strips on the the hanger. Keep them very tight so no hanger is showing. Fluff the fabric when you are finished and pull all of them forward. 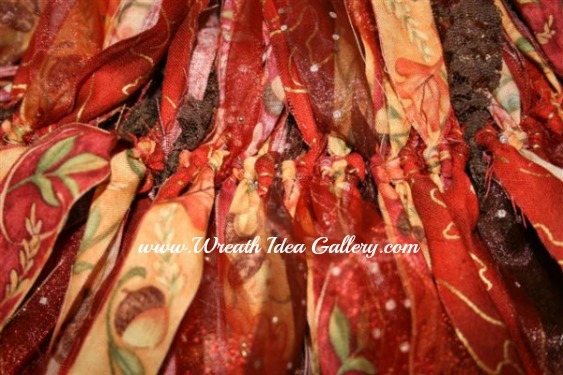 You can see how using the five different materials adds texture to the wreath. Make a bow and you are ready to hang. Because this is material, better for indoor hanging, unless you have a sheltered porch. This is one of many easy fall decorating ideas that you can personalize and make. 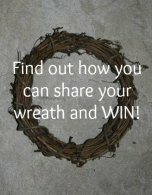 Have you Made a Fall Wreath You Would Like to Share?